Startracks Lifts provides custom wheelchair lift solutions to help disabled people seamlessly get into and out of their cars. Mobility presents a huge challenge for disabled people. While the wheelchair, to a large extent, solves a number of mobility problems, many disabled people are still unable to find their way around raised platforms such as cars. Startracks Lifts is a company that provides custom lift solutions to help disabled people seamlessly get into and out of their cars and other transport facilities. The company is proud to announce the ATC GMC Denali Wheelchair Lift Conversion, the latest in a proud line of lift conversion solutions. Perhaps, the most praiseworthy aspect of Startracks endeavors is their use of creative techniques to ensure disabled people have equal access to the available cars. Too often, cars that are specially designed for disabled people fall short on the performance front. With the custom lift conversion solutions by Startracks, disabled people no longer have to face this problem. This assistive technology was developed following many years of research and development and subsequently perfected after more than 15 years of active use. The ATC has been fitted to a wide range of vehicles including Tahoes, Sierras, Silverado, Suburbans etc., seamlessly easing disabled people into and out of these cars and similar models. 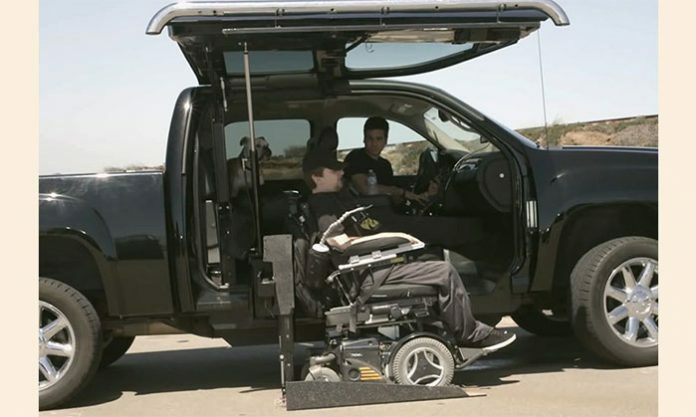 The custom lift works quietly, allowing the user to enter from one side of the vehicle, whether as a driver or the passenger. The noiseless operation is in sharp contrast with the loud sound of other lifts on the market today. The greater ground clearance it offers is another clear advantage of All Terrain Conversions over the conventional Minivan Conversions in today’s market. The working speed of ATCs is impressive, to say the least. Users can get in and out of the car within 20 seconds or less. This is much faster than any disabled truck conversion around. The safety of users is not sacrificed for speed. Users are well strapped to the lift and there is no risk of accidental falling whatsoever. To further ensure the safety of users, the ATC conversion is equipped with quick release pins that facilitate emergency extraction of the individual in the wheelchair. There is also a bump stop that prevents crushing in the event of a physical impact on the truck or SUV door. Expectedly, the converted vehicle is easily accessible to the target users. The lift opens the door up and over, making it easy for disabled people to access the vehicle’s interior. All the essential functions of the vehicle and the lift have been integrated into a single remote control, further easing accessibility. Through the remote, users can operate the lift, start the vehicle, set the vehicle alarm, and lock or unlock the doors. The lift conversion technology is designed to outlast the lifetime of the pickup truck. This particular version is suitable for the GMC Denali, a vehicle that is known for its strength and durability. The custom Startracks lift conversion still outlasts the GMC Denali. Information about the price of this product can be obtained on the official Startracks Lift website. A reimbursement program is in place for individuals that install eligible adaptive mobility equipment on their new vehicles. You can check to know if you are eligible for the program.